This paper proposes an engineering approach to investigate the high-cycle fatigue performance of shot-peened parts. 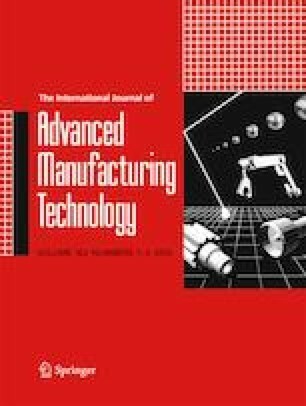 The effects of the ultrasonic and conventional shot peening treatments on the fatigue characteristic of AISI 316 l and Waspaloy materials are investigated and compared. This approach consists in (i) developing two 3D finite element models of ultrasonic and conventional shot peening treatments, (ii) predicting initial shot peening surface modifications induced by both models (residual stresses, equivalent plastic strains, superficial damage values, and micro-geometrical irregularities), (iii) evaluating the redistribution of the initial surface modifications after few cyclic loadings, and (iv) deducing the fatigue performance of ultrasonic and conventional shot-peened parts for tensile loadings based on the high-cycle fatigue indicator ISP%. This attempt shows that both treatments exhibit significant potential for increasing the high-cycle fatigue strength of peened targets. However, the degree of fatigue performance improvement is more obvious for the ultrasonic shot peening treatment. The obtained results are physically coherent and in good agreement with the previous experimental investigations found in the literature. Manchoul S, Seddik R, Ben Sghaier R, Fathallah R (2017). Finite element modeling of ultrasonic and conventional shot peening: a comparison of the effect of both processes on surface conditions. Proceedings of the Institution of Mechanical Engineers Part L Journal of Materials Design and Applications. https://doi.org/10.1177/1464420717719474, 146442071771947.